Muffin Tin Monday is the weekly blog link up here at Muffin Tin Mom that celebrates the Muffin Tin Meal and allows moms from across the blogosphere to link up and share ideas for fun presentation of kids food. In case you are new around here, we assign a theme to each week. And every 3rd week, we take a break from the themes. Like this week. :) This week there is no theme. Coming up very soon, we will begin our color of the rainbow series. I am excited about introducing some more new foods into the kids diet in a fun way and the color themes are always a great way to do that. 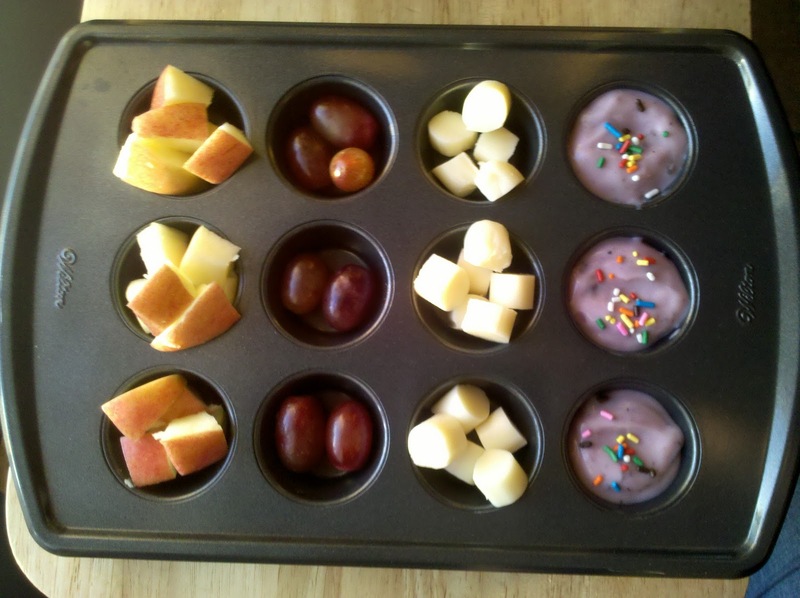 Now it's your turn, what did you make for Muffin Tin Monday? Won't you share it with us? Be sure to link back here, so your readers can find out more about MTM. I love all the fresh fruit. Your snack looks good. My kids like sprinkles on their yogurt too!